The It Boys—Erwan Heussaff, Nico Bolzico, Adrien Semblat, Moritz Gastl, and co. went on an all-boys beach escape in Siargao. 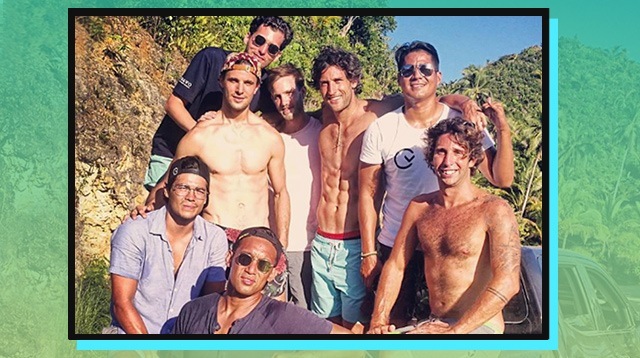 Sans their lovely partners (Anne Curtis, Solenn Heussaff, Belle Daza, and Jess Wilson), the boys got together for a weekend to swim, surf, and soak up the sun! Lookin' like beach gods right there! HOW AB-MAZING. Erwan, the group's resident videographer, also posted a quick clip of their short vacay. Happy viewing!